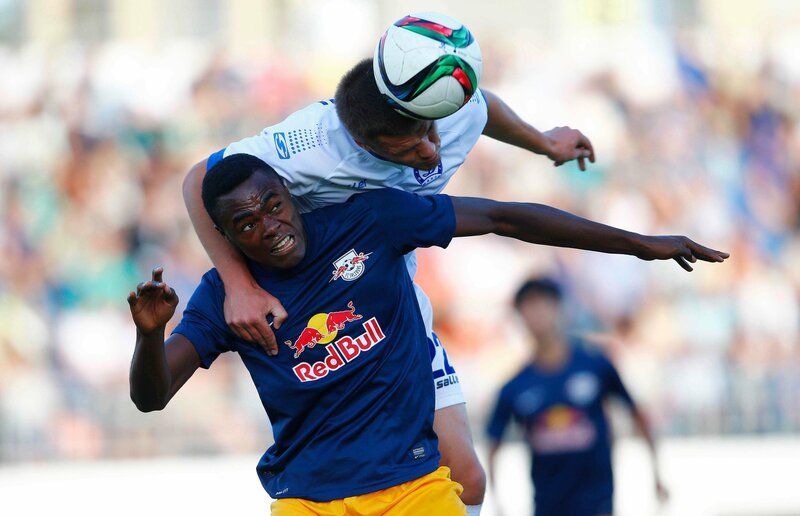 FC Red Bull Salzburg lost a penalty shoot-out 2-3 to FC Dinamo Minsk and are therefore knocked out of the Europa league, despite winning the second leg 2-0 (AET). 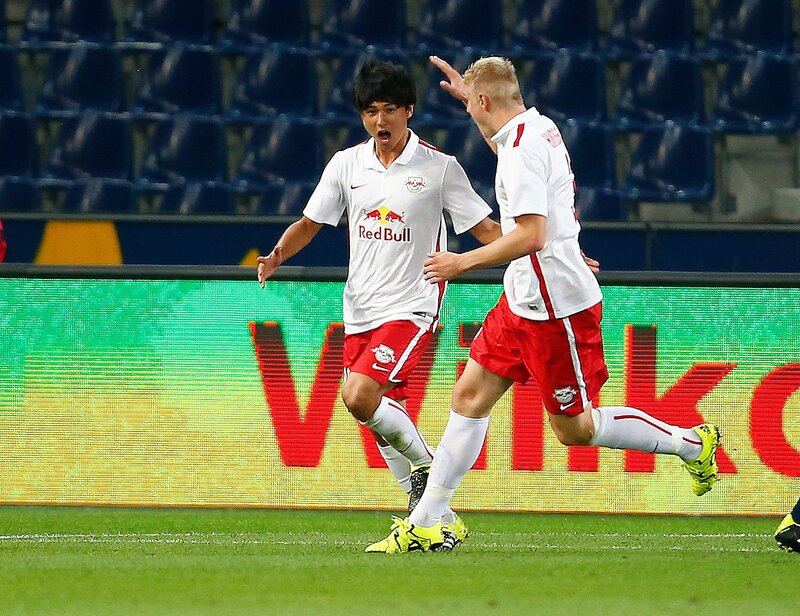 Takumi Minamino (11') and Soriano (58') scored the goals for the Red Bulls. 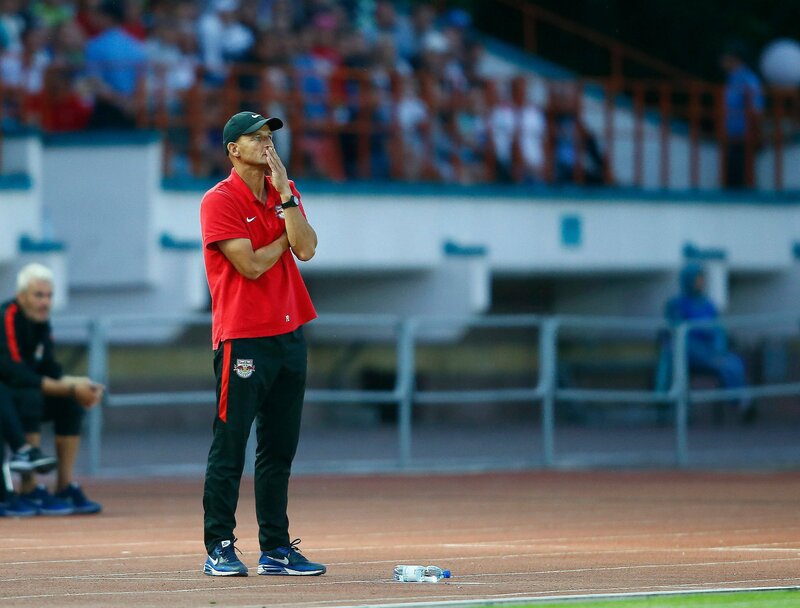 A Jonatan Soriano goal in extra time was falsely disallowed for offside. El Capitan Jonny Soriano’s team showed plenty of spirit, gut and sheer will to turn the tie around. 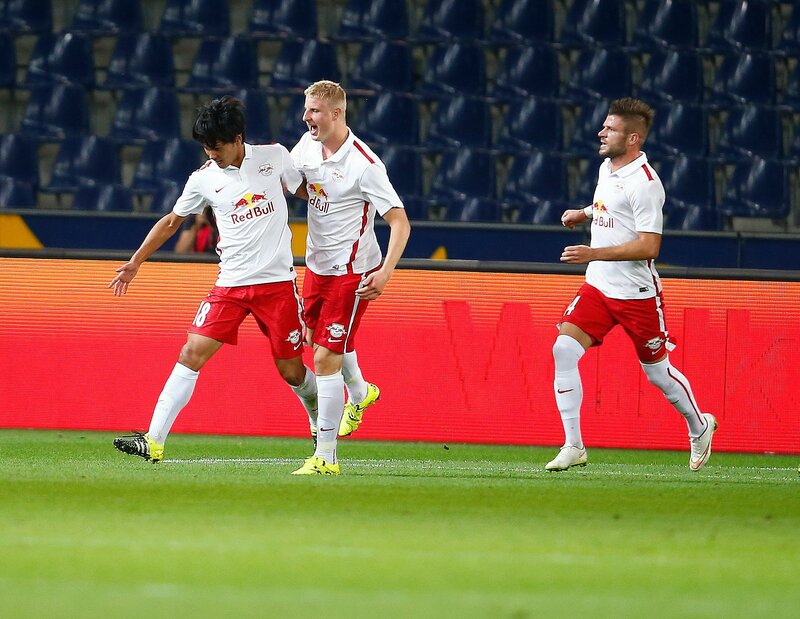 Salzburg were able to wipe out the 0-2 deficit from the first leg with goals from Takumi Minamino and Jonny Soriano, going on to dominate the game for 120 minutes. 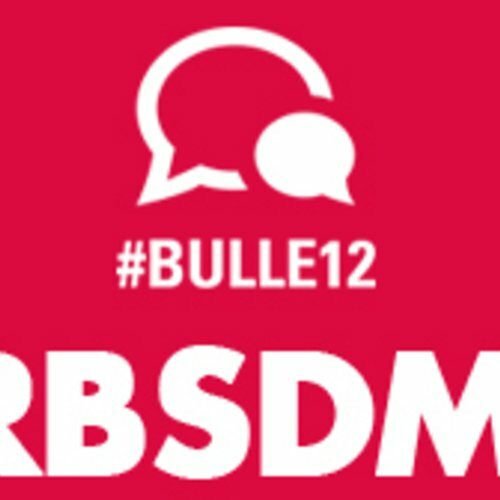 The Red Bulls well and truly pinned the Belarusians back and had a perfectly good goal disallowed in extra time. 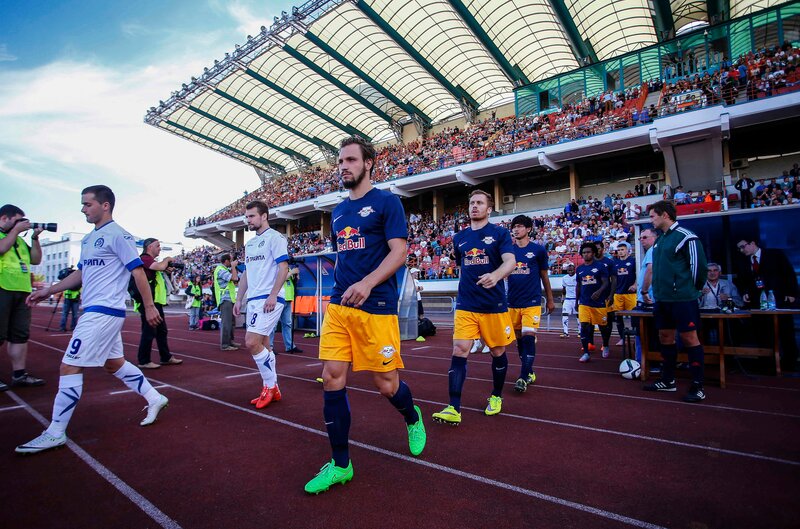 Peter Zeidler’s team therefore undeservedly exited at the hands of Dinamo Minsk on a penalty shoot-out to finish their European campaign for the season. 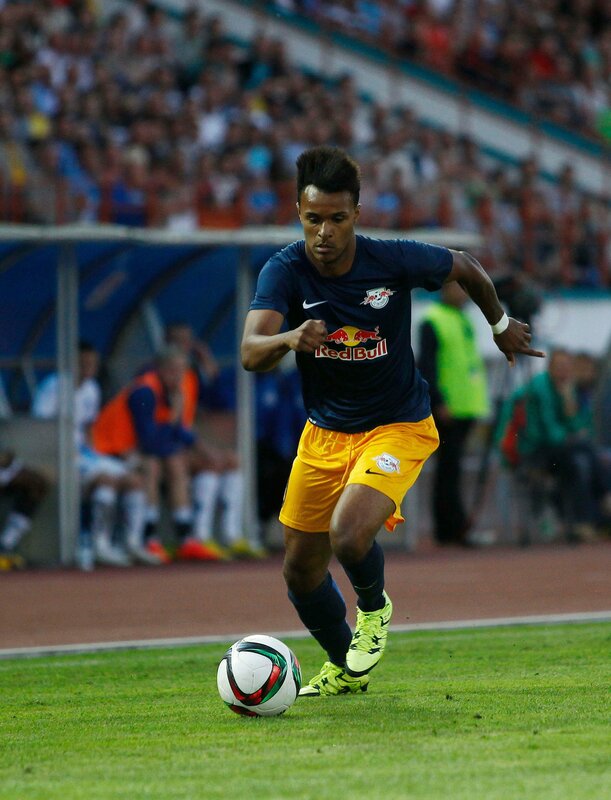 Straight after Salzburg kicked off it was relatively clear how the game was going to be shaped. 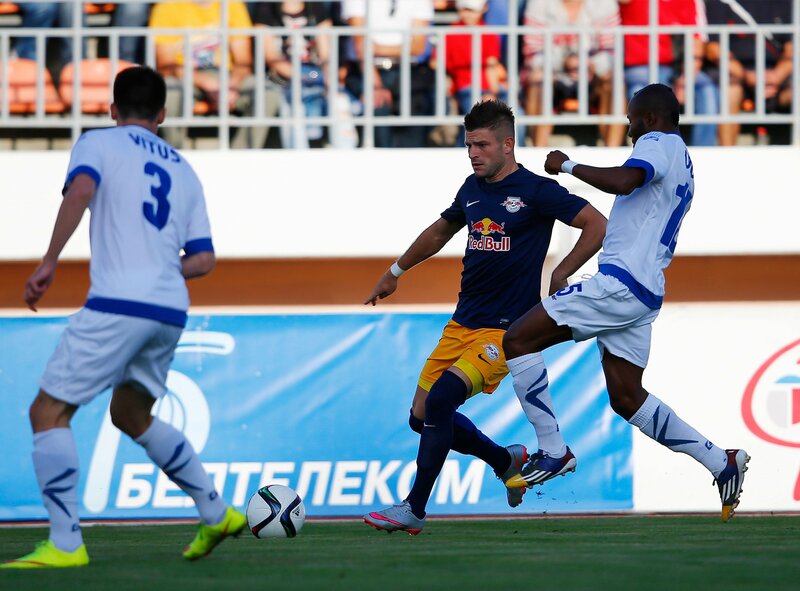 The Red Bulls, vociferously backed by their supporters, took the game by the scruff of the neck and got into the Belarusians penalty area after only five minutes of play. 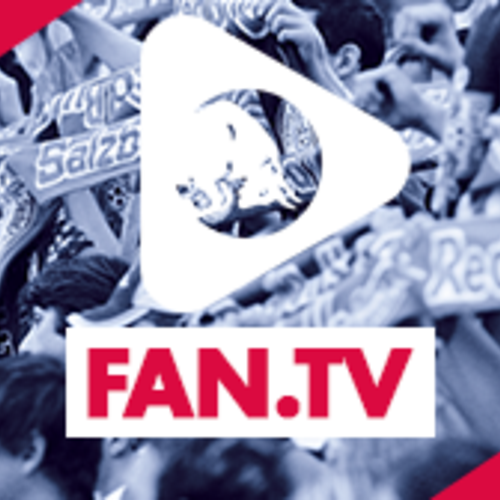 Visiting goalkeeper Gutor was troubled by a Minamino shot from long range, before Jonny Soriano and Valon Berisha just failed to get to a cross from Stefan Lainer down the wing. 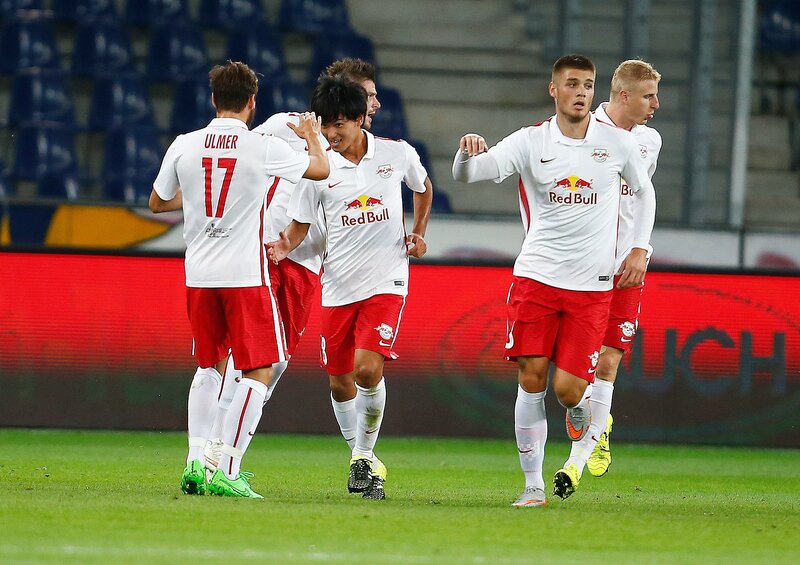 Peter Zeidler’s team celebrated their first goal following Benno Schmitz’s corner. 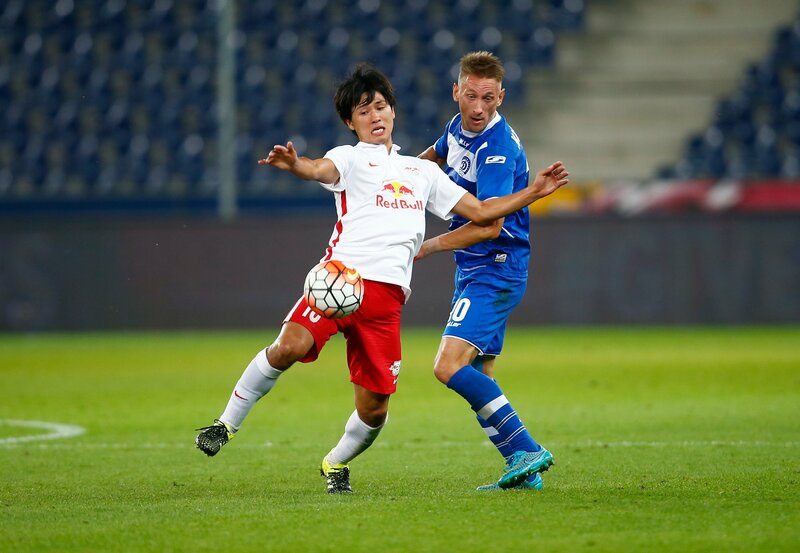 The recovered defensive stalwart Martin Hinteregger laid the ball back cleverly to Takumi Minamino, who wasted no time before slotting the ball inside the far post (11’). The fans were instantly joyed by the determined start, and cheered their team on as they looked for another strike. 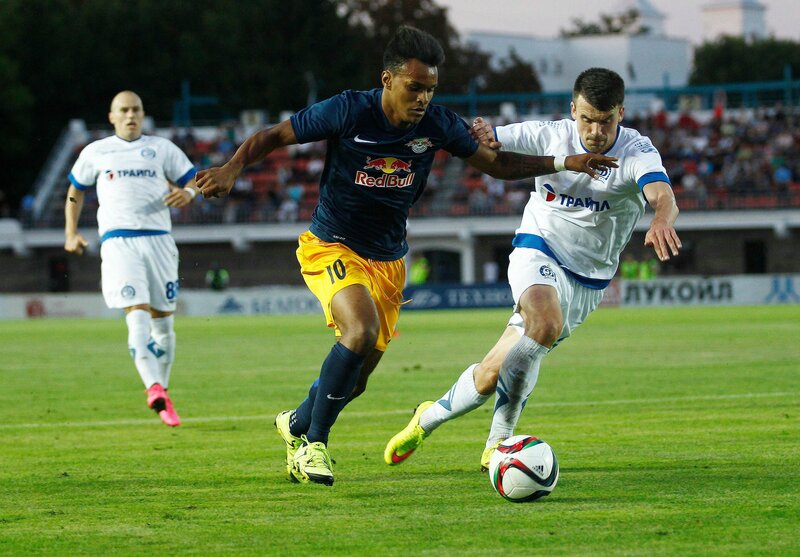 Dinamo Minsk were defending very deeply and struggled to cope with the free-flowing football of FC Red Bull Salzburg and their spirited showing. More chances came the hosts’ way. Gutor first turned a Schmitz effort from distance over the crossbar (13’) before Martin Hinteregger headed just past the top corner (22’). 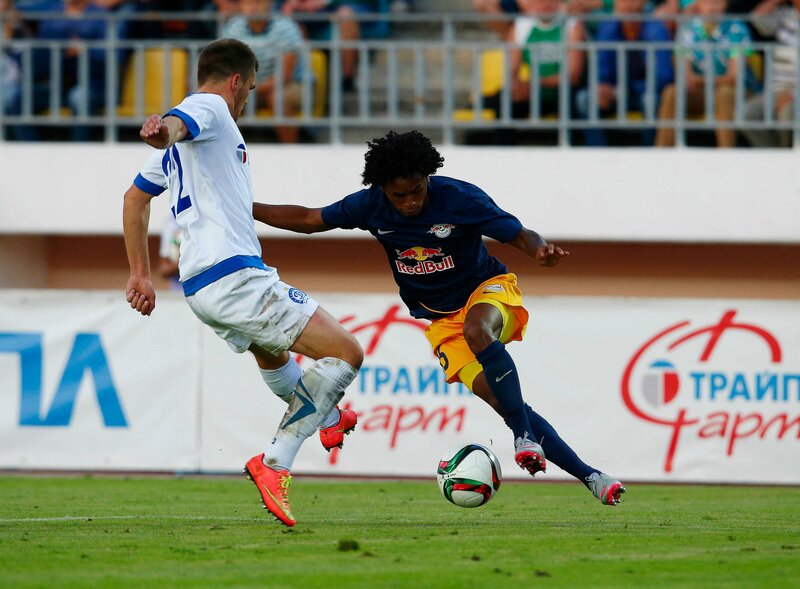 Salzburg were in dominant mood, with Minsk only able to rarely gain some relief from the onslaught with breaks. 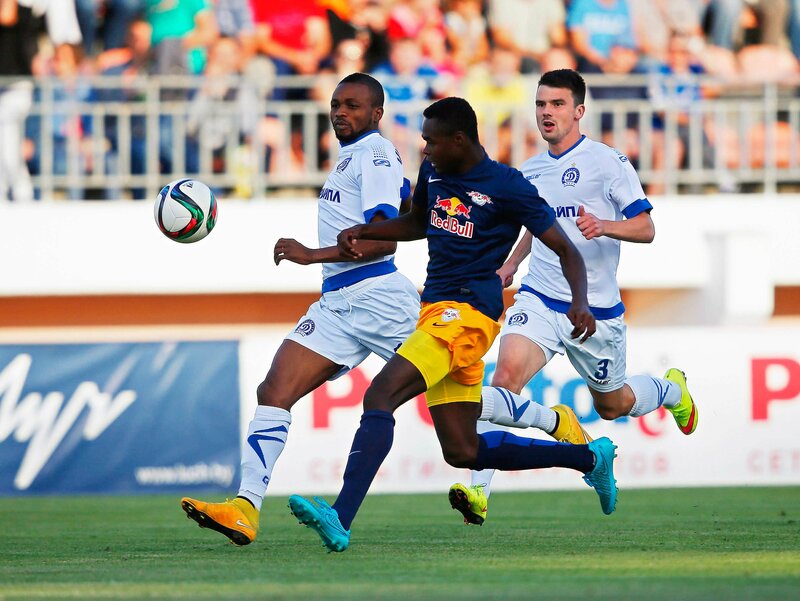 The Red Bulls went close to getting their second goal just before the break. Bangura almost turned the ball into his own net, and Martin Hinteregger had a pair of headed chances (39’/45’), while Jonny Soriano almost netted from a free-kick (41’). It remained 1-0 at the break with a scoreline that flattered the visitors. 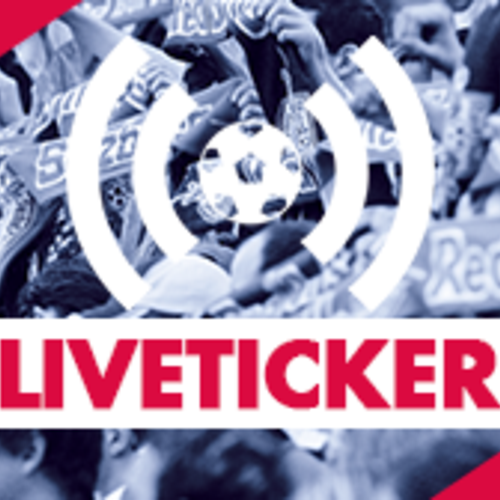 Salzburg had a fair dose of verve after the restart, getting two good chances to add to their lead straight away with Jonny Soriano. El Capitan then made it third time lucky by driving the ball inside the far post after performing a stunning twist inside (58’). Peter Zeidler’s, team were now well and truly back in the running. 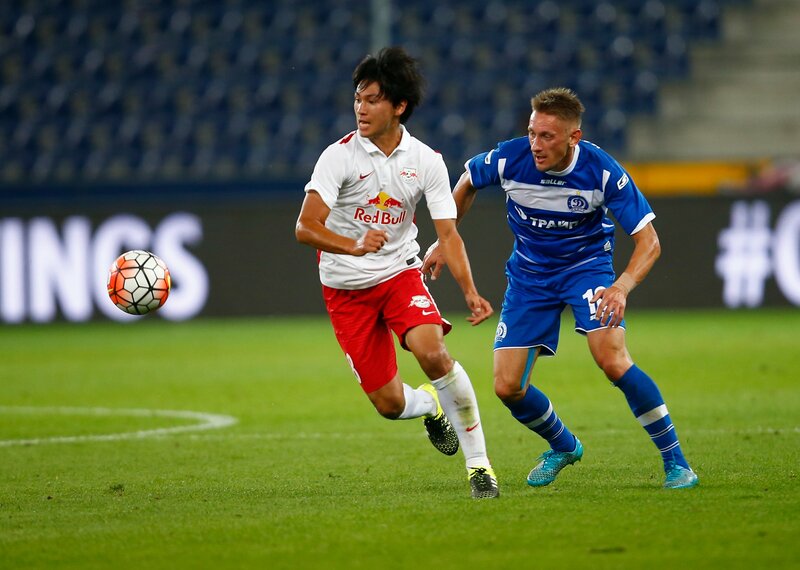 Birthday boy Stefan Lainer patrolled the right flank tirelessly and created no end of danger in the Belarusian penalty area with his balls in – finding Minamino (78’) in a good sport – only for Gutor to just manage to deny him with a save. The ball then landed in the net but the celebrations didn’t last as referee Kevin Blom rightly ruled it out for offside (81’). 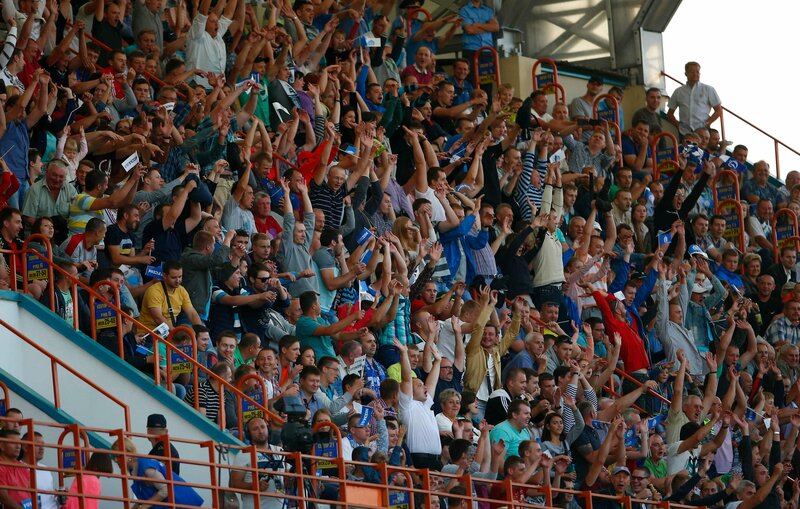 Dinamo Minsk then grew into the game a little more in the final minutes, without creating anything to note. 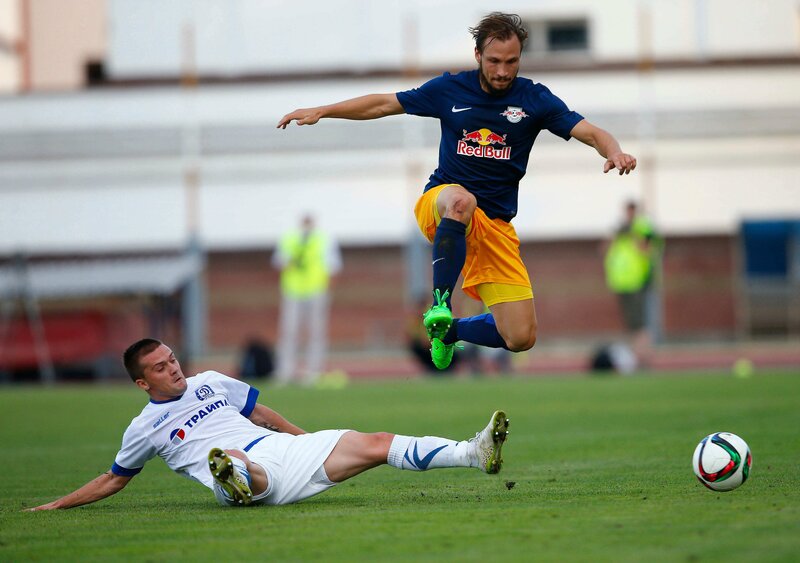 It therefore went into an extra 30 minutes, for the first time in a European match in Salzburg in the Red Bull era. In the first half of extra time you could notice the importance of the match and the intensive style of play – as the Belarusians went in somewhat harder. Both teams tried to remain compact and pounce when they could. 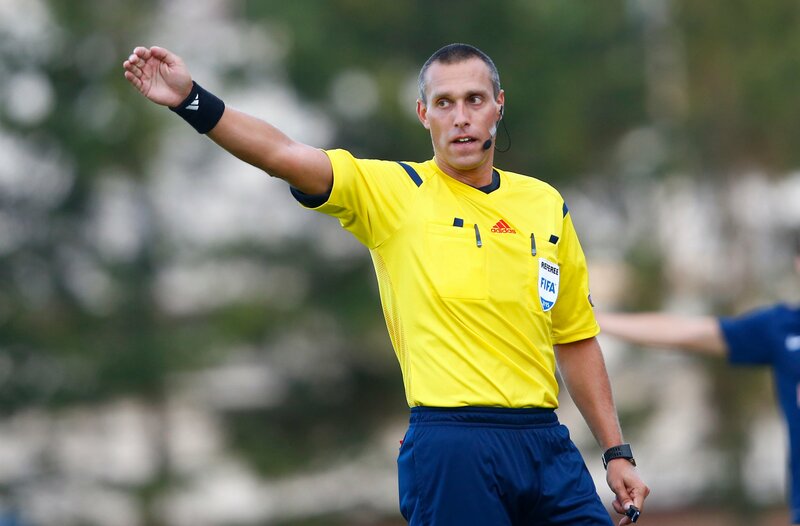 Then a major moment of controversy came in the 98th minute - Jonny Soriano headed the ball over the line, but he was again denied for offside – in a clear mistake. That would have sealed things. 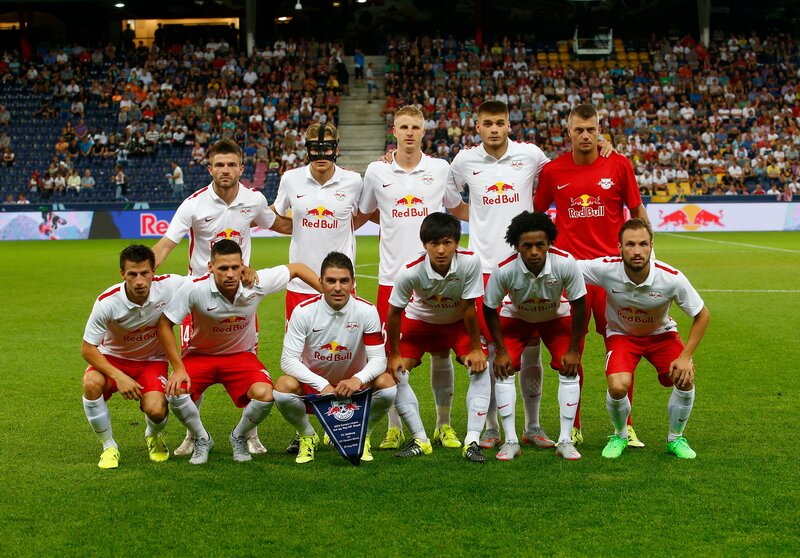 The Red Bulls were then kept in it by Alexander Walke shortly after the change of ends, after he denied a shot from the slipping Adamovic. The visitors were by this point seemingly playing for a penalty shoot-out, taking up as much time whenever possible, much to the annoyance of Salzburg. It’s a tough one to take. 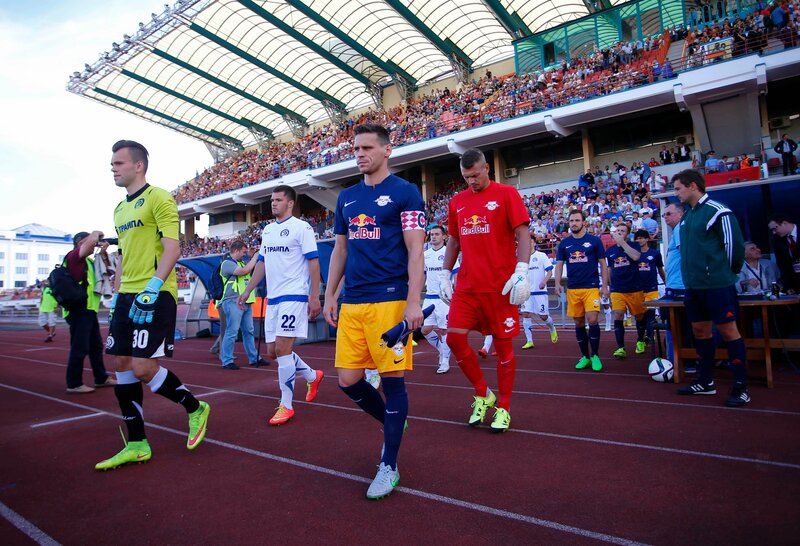 FC Red Bull Salzburg dominated the game for 120 minutes, well and truly pinned Minsk back throughout but were ultimately knocked out on penalties. 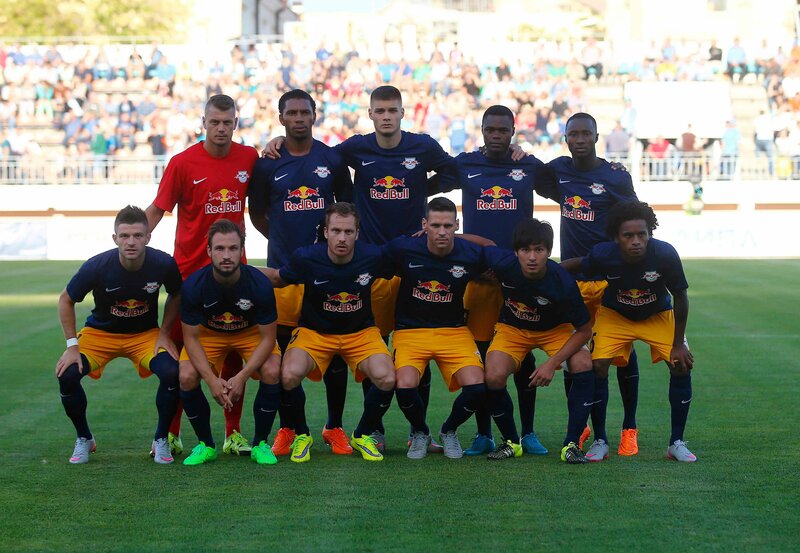 Jonny Soriano and Martin Hinteregger converted their spot kicks cleanly, but Takumi Minamino, David Atanga and Valon Berisha missed. 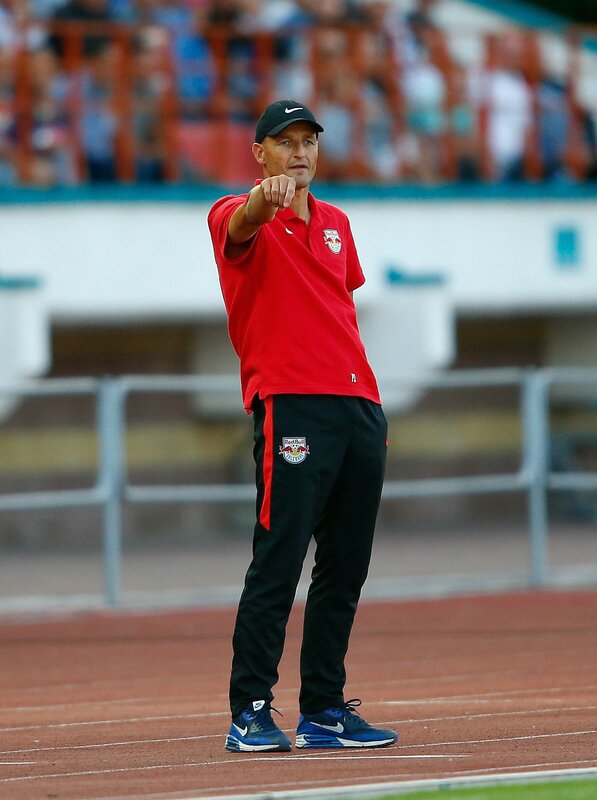 Coach Peter Zeidler was once again without the long-term injured pair of Airton Moraes Michellon (thigh) and Reinhold Yabo (knee). Omer Damari was out with a Fußwurzelknochen-Absprengung. 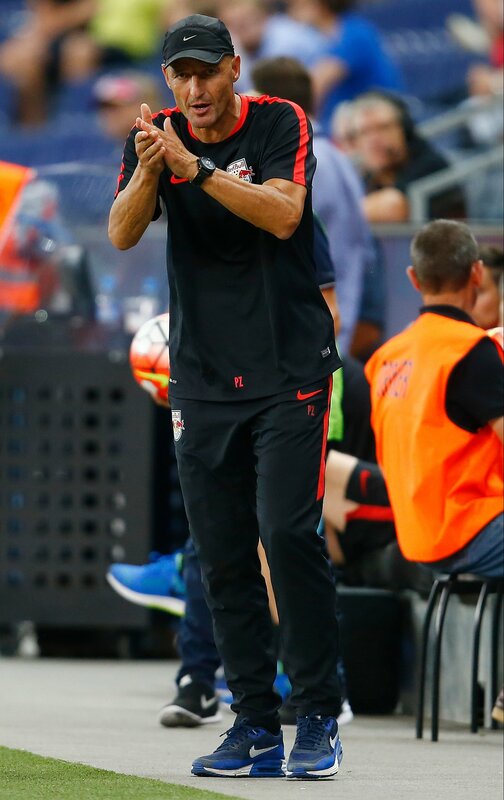 Defensive boss Martin Hinteregger, who was recently been forced on the sidelines with a painful abdominal injury, started again today. 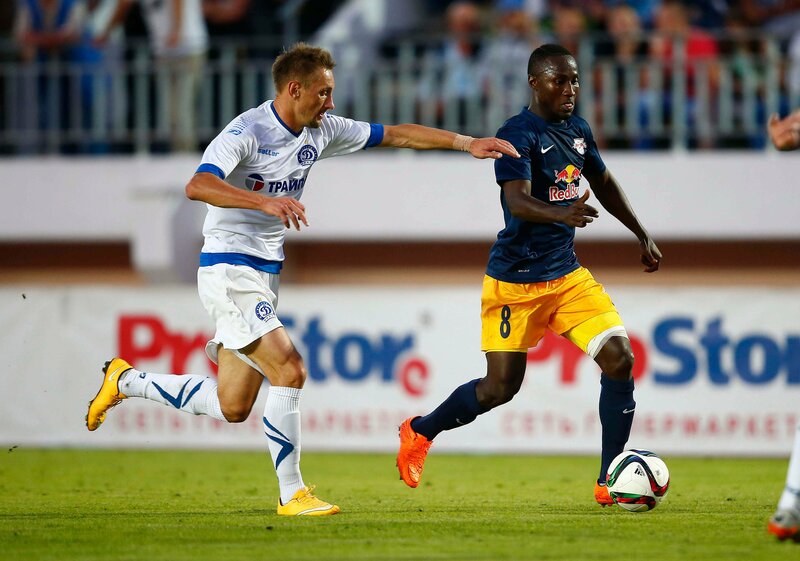 Naby Keita was suspended for today’s match after picking up three yellow cards in the current competition. 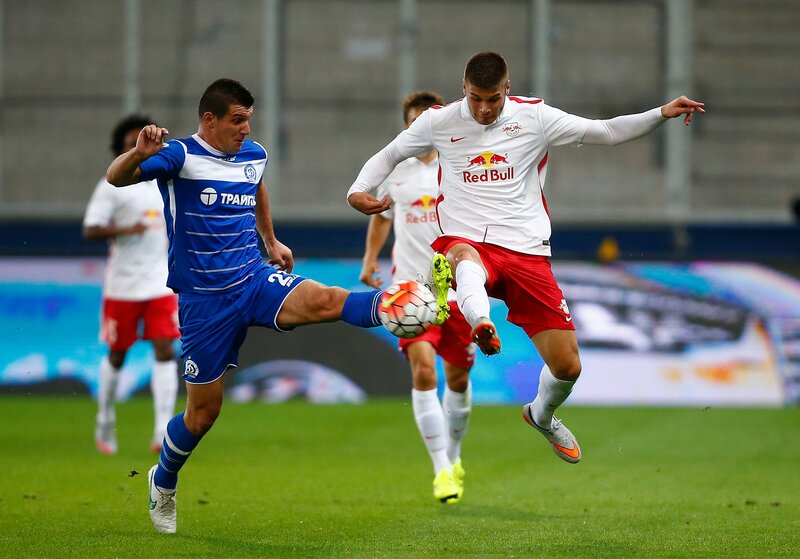 For captain Jonatan Soriano, the important Europa League game against FK Dinamo Minsk was his 150th competitive match (and 18th Europa League match) in a Red Bulls’ shirt. Takumi Minamino scored his first Europa League goal today. Asger Sörensen made his Europa League debut today. 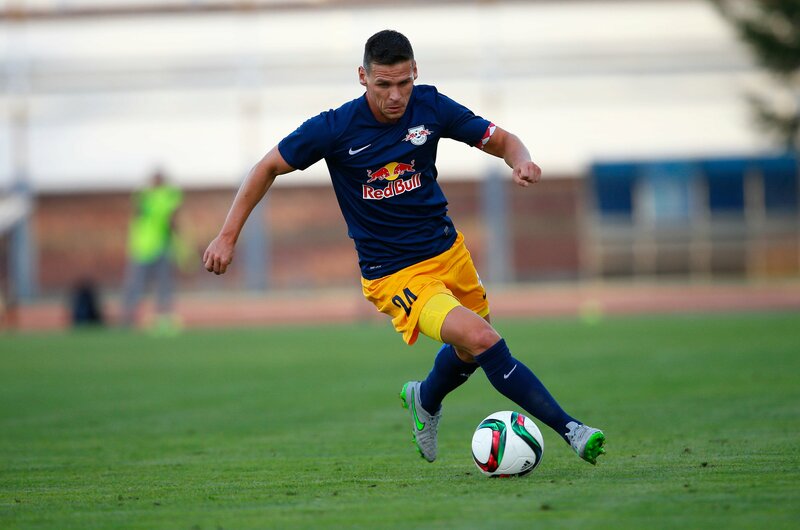 Stefan Lainer played on his 23rd birthday. Happy birthday!